Full sole Leather Ballet shoe is made of premium grade leather. our tiny tots Ballet shoe's shape just model your foot left and right. 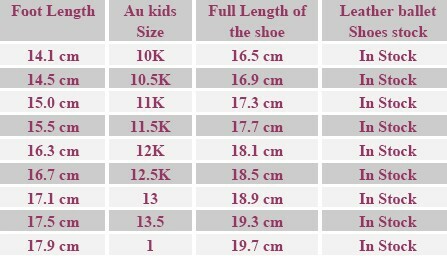 Fitting: Tiny tots full sole leather ballet shoes is special design for little ballerina for a extra comfort, I have added on resonable room for the tipy toes, the chart is well fit with growing room.